Not only is the Cynosure Elite laser machine one of the premier models on the market today for laser hair removal, but it is also capable of performing a variety of other cosmetic procedures, including pigmented lesions, facial veins and leg veins. When you consider the low price of a used Cynosure Elite laser machine at SunrayLaser.com, this is one of the most cost-effective systems you can buy. When you buy a pre-owned Cynosure Elite laser system, you will get one of the most comprehensive systems available for laser hair removal. The combination of a 1064 nm Nd:YAG laser with a 755 nm Alexandrite laser makes the Cynosure more versatile than other systems and it allows you to easily switch wavelengths during a single session. That means you can offer the convenience of multiple cosmetic procedures in one sitting, which will attract new patients and add to your bottom line. 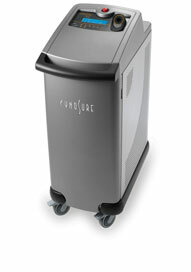 Some companies make it difficult to find the price of a used Cynosure Elite laser system, but at SunrayLaser.com we want to make the entire buying process as easy as possible. If you are interested in the lowest price on a Cynosure Elite laser machine, simply fill out the contact form below and we’ll provide a no obligation quote. We know it can be a little unnerving to buy a cosmetic laser system online, and that’s why we provide the security of a 100% satisfaction guarantee. We are able to do that because we only deal in high quality pre-owned cosmetic equipment, and we thoroughly test and inspect everything we sell.